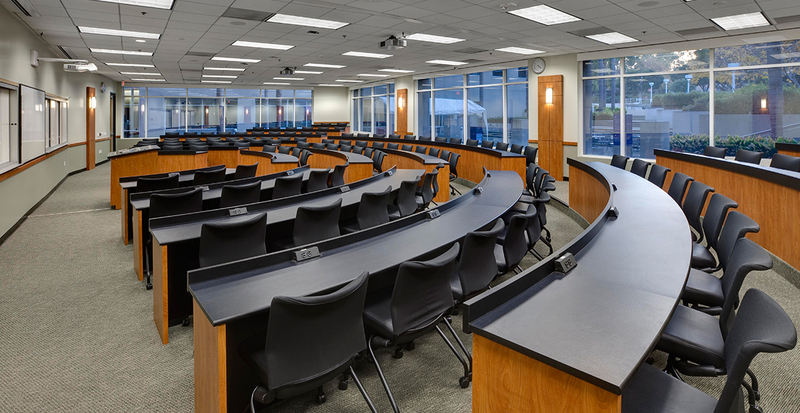 This project consisted of a series of tenant improvement projects for the School of Law at the University of California, Irvine. 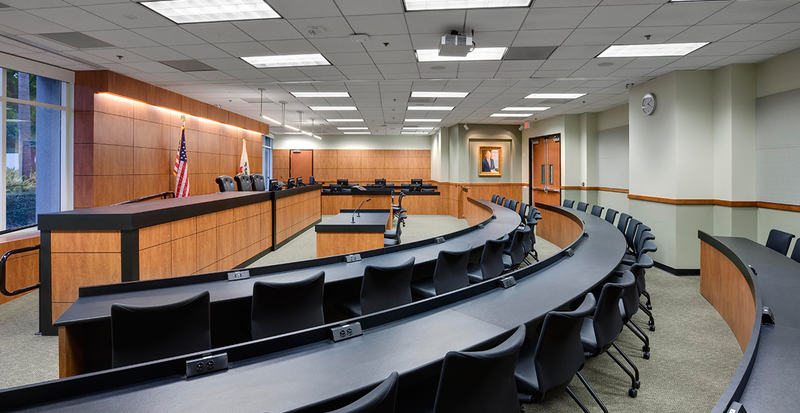 Consistent with UCI Law School’s commitment to providing skills training for its students, the Law School has a vibrant Moot Court and Mock Trial program. 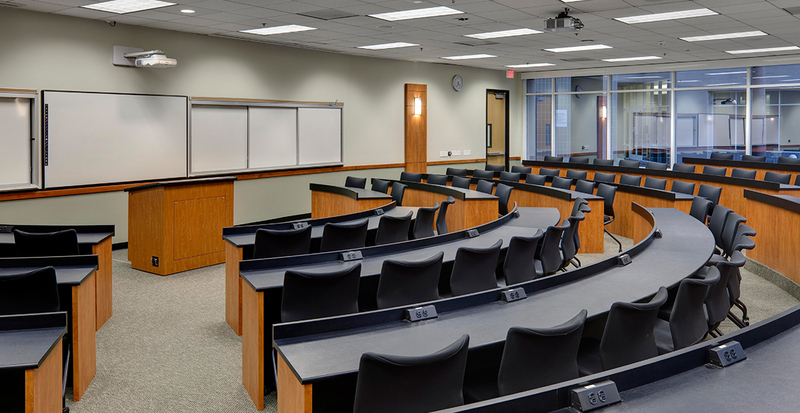 These projects included a new 64-student tiered classroom, and the interior demolition and new construction of three existing classrooms to accommodate a new large classroom with seating for 104 people, and a new Moot Courtroom / Classroom facility, with seats for 12 jury members, 3 bench, 4 counsel and 38 audience members. 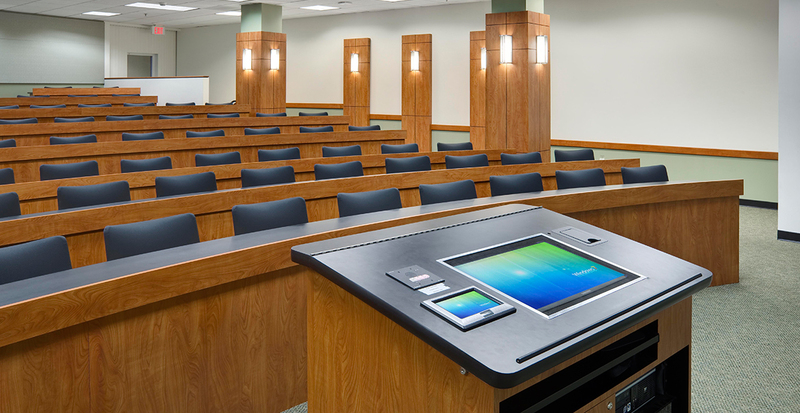 Each of these classrooms integrated technology and amenities such as interactive whiteboards, audio and video recording, and output to 10 monitors (Moot Courtroom).